This is from one of Shifa's kits. I didn't soak it long enough the first time and the pins aborted. The second time I gave it a long soak and left it out in the rain. I'm very pleased with the success of this. Well done Shifa. I would like to get some more kits. Great photo of some really gigantic fruit! Well done the pair of you! Props out. Nice looking shiitakes. 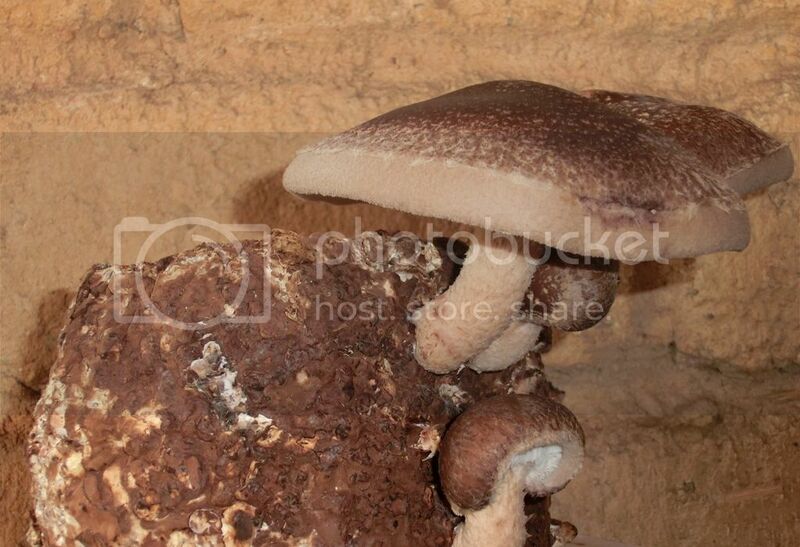 Still my favourite fresh mushies-mine have struggled with the frost and snow, looking forward to warm weather. Does anybody have advice on how to encourage or speed up browning of blocks? patience my friend is the only acvice i can give. although i do believe some growers brown them outside the bag i assume that would speed it up. I didn't want to start another thread, but here is a pic of another of Shifa's kits. I had some problems initially with massive pinning and little growth, but finally it got going and has produced a nice crop. 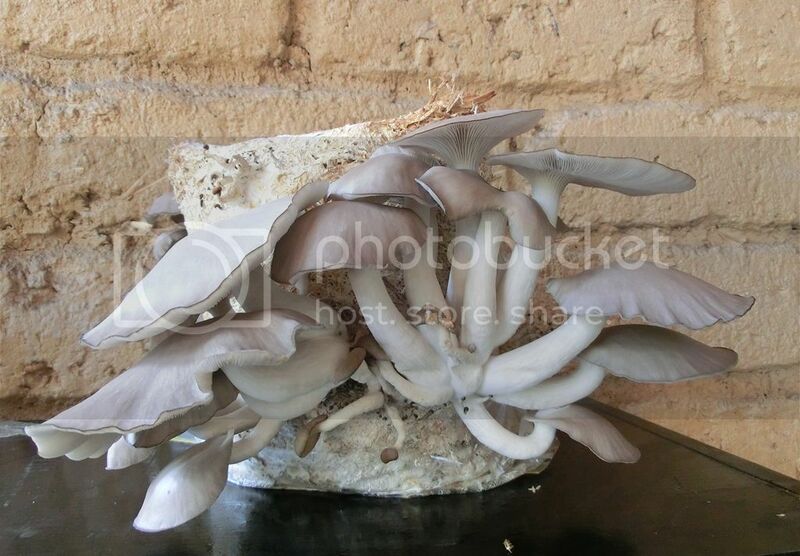 very elegant looking shrooms . long legs and pretty tops.